It’s been over a year since my wife had her car accident. The process is finally over and we’ve learned some things along the way. So I thought I’d share some takeaways with you. I’m also hopeful that readers in the legal and insurance professions might chime in with their thoughts, suggestions, and so forth. My wife was in a car accident last spring. My wife had some physical issues as a result (we’ll go into those later) but my son was ok (after being sore a few days). The person who hit my wife (it was his fault) had Allstate insurance. I don’t know if it was because they were the “adversary” or if their service is just crappy, but I was not impressed with them and will NEVER buy insurance from them. We have AAA insurance and they were awesome. After some wrangling, Allstate declared our car totaled and paid us, from what I could tell, a fair price for our old car. My wife then got a new car, saving a ton on it by using my cost-saving car buying method (which is even better than using Costco’s service, BTW). That’s where the story left off at my last update. As I said above, my son was fine after the initial soreness wore off. My wife on the other hand had a pain/tightness in the middle of her back that wouldn’t go away. After an initial visit to her doctor, she eventually went to a chiropractor a couple times. He seemed to make the problem worse, so she stopped going to see him. All this time we were in communication with Allstate and they continually pressed us to close the case ASAP. They even wanted us to pay for all doctor bills and submit them at once. We didn’t want to do this as we didn’t know how long we’d have doctor bills (it could be months, right? ), but they were obstinate. So we called AAA and got reimbursed immediately by them during this process. We tried some free remedies to solve my wife’s back issue. She received a complimentary workout session at our gym and talked to a trainer about maybe working out her back issues. The trainer gave her some exercises that could have helped. We tried home massage. I would rub her back at night, specifically focused on the muscle that seemed to have a permanent kink in it, and that seemed to help, though the relief was temporary. We waited to see if time would heal her issue. We thought that maybe she just needed time to recover. We stopped seeing doctors. She did go to the chiropractor mentioned above and then back to her primary care physician who said there wasn’t much to do. The doctor did refer my wife to a physical therapist. We held off on that for a couple months as my wife thought the PT might make it worse (like the chiropractor had). This process lasted several months as we searched for the best path to her healing. My wife wasn’t in pain, but just had a nagging issue now and then that was aggravating and certainly wasn’t there before the accident. I, on the other hand, was content to leave the claim open. Who knew what damage my wife had? Also, I was willing to keep it open for no other reason than to be a pain in the rear to Allstate. I’m sure they wanted it over and done with, so I was willing to not close just to be a thorn in their side. As we were dealing with the physical issues, the subject of “pain and suffering” or “other compensation” hung in the air. I had done some research into this and even the Allstate agent had mentioned that once all the issues were solved that they would be looking at other compensation for our trouble. I had zero idea how much this number would be. It could have been $100 or $10,000 for all I knew. I did know that the insurance company would want it to be as low as possible and that they knew a whole lot more about this process than I did. During this time, my uncle happened to be in town. He’s been a lawyer for 40 years or so handling injury cases (not in our state) so we asked him about the situation. This made sense because a lawyer would know what sorts of sums were appropriate, how to talk to the insurance company, how to push their buttons, and so forth. So I had my wife type out everything on a document — what happened, what had been done, the bills we had incurred, and so forth. I reached out to my local network and no one knew any personal injury lawyers. So I had to roll the dice and contact a couple of lawyers based on ads (easy to find if you watch any afternoon TV — they are all over the place). I sent them an initial email, they responded, then I sent them the document to review. They both wanted to talk to me about details. I selected the one that seemed better and spent an hour or so on the phone answering questions (FYI, there was no cost for this.) The lady I talked to said she would refer the details to one of their lawyers and they would get back to me. Two days later they did. They said there wasn’t enough for them to represent me. I had suspected as much. There simply wasn’t enough money for them to go after to make it worth their time. If nothing else, this at least set my expectations that the final settlement wouldn’t be large. I decided not to talk to the other lawyer as I felt we would probably get the same answer, so we were on our own. Over time my wife’s back did slowly get better. There were still twinges here and there but she thought it would eventually go away on its own (time will tell). She did not want to seek further treatment because she thought 1) it would do no good and 2) it could make it worse. So we told Allstate we were ready to close the process. They said they would review our situation and get back to us with a final settlement. It took them a few weeks to do this, then they called my wife with their offers: $615 for my son’s settlement and another $615 for my wife’s. It was then that they revealed the magic formula. The final settlement was based in large part on the expenses we had incurred the 60 days immediately following the accident. Since my wife and son had the same costs during this period (the initial doctor’s visit) they received the same offer. My wife reiterated the fact that we had tried to be cautious, spend appropriately, and let time heal her. She said she did have other expenses, but they were just out of the 60-day window. Allstate asked for documentation on these costs (even though they already had them) and my wife provided. A week or so later they came back with a new offer: $1,144 for my wife’s settlement. At this point my wife just wanted it over and felt this was as good as we could do. So we accepted it and got both checks a week or so later. Here’s what we should have done to maximize our insurance settlement: rack up as many expenses as we could in the first 60 days. Even if the EXACT costs would have been the same, we would have been offered much more if we had them in the first two months rather than let them be spread out over 10 months. So we should have had the chiropractor, second doctor’s visit, PT (should have gone), and even perhaps a massage therapist all within the first two months. If we had, we would have gotten a much higher settlement. Of course we didn’t want to incur charges that were not needed just for the sake of getting more money. In fact, we would have taken $0 in a heartbeat if my wife would just have been back to normal. But for those of you reading this, let our experience serve as a guideline: be more aggressive in your treatment and if there are legitimate charges you will incur to get better, work to have them happen within the first 60 days. If you do, your final settlement will likely be higher. Now’s the time for your thoughts. Anyone out there with more knowledge of these situations than I have? Did I miss anything? Get anything wrong? I’d appreciate your comments. Interesting. It makes sense that the settlement would be based on the amount spent immediately after the accident. It’s frustrating that insurance companies often want to end claims super quick and might not do a thorough job. A friend of mine totalled their car recently and the insurance company was trying to rush them to close out the claim and ended up being $2000 under value for the car. Keep in kind it was like a $3500 car, so the $2K was a big deal. Thank you so much for sharing your experience! Although I haven’t had to deal with any of this (yet), it is so helpful to learn through someone else’s experience. I would never have though that you have a 60-day window, so it definitely pays to act fast and start getting medical treatment and advice as soon as possible. I would normally be very cautious in spending money, but in the case of an accident, it makes sense to get it done immediately instead of trying to analyze how much everything could cost. Hope your wife is finally back to normal! It was so painful to read this, they left so much on the table for Allstate, and AAA! And accepting first and second offer made me cringe. Insurance companies start with pennies and they were a jackpot to Allstate. If they had worked with a lawyer, their lawyer would had replied with a counter offer of no less than 20K, and they would probably had stopped somewhere in the middle, approximately 10K minus lawyer fee, 6K. so the old Allstate ha? lol I remember visiting NC on a road trip with my husband. in the parking lot of a place we were visiting, my husband and a lady backed into each other. My husband said he was backing up first so it was the lady’s fault who did not see him backing up. They exchanged info and when the road trip was over he called the lady’s insurance company, which surprise…surprise it was Allstate, just like ours. lol so they put up a big fight for the claim. Like who are they going to fight and blame right? is the same insurance company. Anyhow, he got a check and fix the minor thing in the car. What I thought was funny is how they try to “NOT” pay and try to blame the other insurer, but when it is the same company, it gets iffy. thanks for the story and advise. I’ve been an attorney for 7 years; 6 of which have been for two well-known insurance companies (one year as a personal injury attorney). Personal injury cases are largely a function of medical bills. In the “real world”, your wife’s actions were reasonable and appropriate. In the alternate reality of “car crash cases” – there is an incentive to accumulate medical records and bills because it generates larger settlements. Insurance companies, chiropractors, and personal injury attorneys all know this and accept this framework. Thankfully, there was no broken bones or surgeries that resulted from this accident. Should this happen again, I agree with the advice of your uncle: consult a personal injury attorney works in this arena. Good advice. There were no serious injuries. I’ve been handling casualty claims for 27 years (auto largely for the first 17 years). 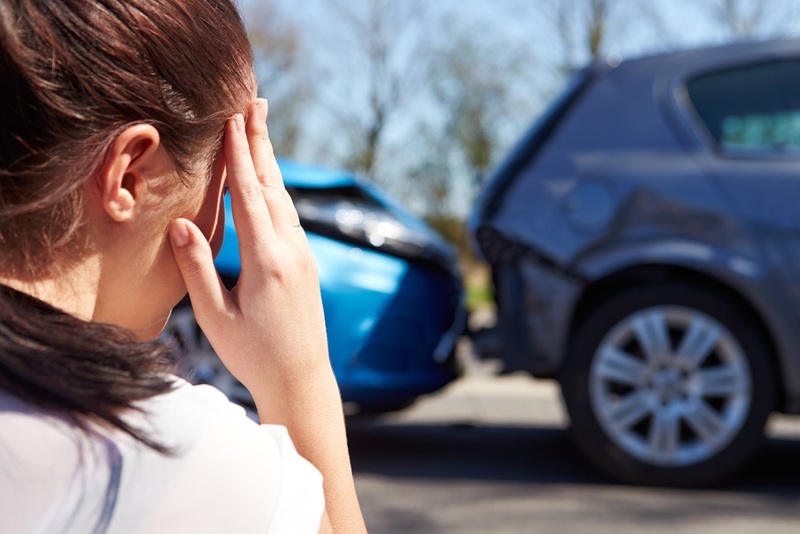 Thankfully, everyone doesn’t join in on the “car crash cases.” The fraud and misrepresentation that goes on as a matter of routine can be hard to take on a daily basis. I think it’s even harder for the victims who Insurance companies routinely take advantage of. Since you seem like a DIYer like myself, you could have also sued. We had a similar case with different insurance carrier (not Allstate). Similarly, the initial settlement offer was unfair. The amount we were seeking was too low to involve a lawyer, so I did some research and decided to sue in small claims court. In CA, you sue the driver not the insurance company. This caused a great inconvenience for the other driver who had to take time out of her schedule to defend the actions of her insurance company. And since we didn’t name the insurance company in the lawsuit, they couldn’t defend her (they sent a rep just to cut a check based on the outcome). We eventually settled for an amount of 3x what they initially offered. One thing I learned from this is get a good insurance company who is fair, so you don’t get dragged into court for their bad actions. FWIW, we separately had an accident where my car was totaled (wasn’t our fault) and the other party’s insurer was Allstate. Thankfully, we only suffered very minor injuries. I felt Allstate were very fair throughout for car settlement and injury claims. You shared a lot of new, to me, information. We have been lucky enough to not have had to deal with this (yet). Thank you for sharing the wisdom you gained. I hope your wife’s issue resolves over time. My recommendation is even if no one is actually hurt, but especially if people are, take photos, of your car AND their car focusing on the damage AND the location it happened. What I thought was a no brainer accident with the other driver backing into the side of our parked car ended up becoming a “no fault” bunch of crap because my one child, while taking pictures of our car and it’s damage, never took a picture of the other car’s damage or the place it occurred. This allowed the other driver to blatantly lie about the accident, claiming our child “rear ended” them in a different area of the lot when a picture of the damage to their car and where it occurred would have made it clear their story was impossible unless our car was driving upside down and had jumped a curb. Thank you for this post – good to know this if the situation ever occurs in the future. There has been a lot of information coming out lately about Chiropractors. According to magnetic healer Daniel D. Palmer, the founder of chiropractic, “vertebral subluxation” was the sole cause of all diseases and manipulation was the cure for all diseases of the human race. Chiropractors, including D.D. Palmer, were jailed for practicing medicine without a license. D.D. Palmer considered establishing chiropractic as a religion to resolve this problem. I would be very leery of chiropractors especially since they are not actually doctors. I would recommend looking further into the practice as you are trusting them with an extremely crucial part of your body. There have been some really bad results of chiropractors doing major damage to patients. I second this. You have to remember that Chiropractors are not doctors and are not physical therapists. The “medicine” they base their treatments on have no basis in science. It is likely that your wife would have gotten better advice from a licensed physical therapist had she gone to see one. It is equally likely that she just had to wait and take it easy for her to heal. Wow! Apparently you know nothing about chiropractic doctors. .I have very close friends who are and have attended lectures at their chiropractic school. They get the same basic medical training 4 years that an MD gets ,then they Learn specifically about the nervous system on top of that and how to manipulate it to bring it back into health.if you think about a hose if you kink it what happens to the water flow? What if that was blood supply to critical organs? They are specialists in the nervous system and structure. They can x ray you and I would always go to a chiropractor, osteopath (D.O.’s are normally cover ed by veterans insurance) or cranial sacral therapist (not necessarily a DC or D.O. so you need a doctor’s prescription for them ,same as for a mas safe therapist) after an accident even if I needed surgery first. They are specialists for this kind of trauma. That said there are good and bad practitioners and styles. Choose someone that aligns with your approach to life. .for me I want a super sensitive energetic but also skilled in structural and I work with someone who knows how to “step adjustments”..it is rare to find someone skillful in both ends of the spectrum but possible if you ask around. My friend who was a baseball player had a chiropractor he loved ego used a heavy duty machine on his back and it was perfect for his body and personality. So get referrals. Those that specialize in injury and insurance are experts in how to bill but may pad too much if your insurance prepay it (medpay..aaa has this) and run through your allowance too fast. Those who don’t normally take insurance need to make sure they bull the correct codes and keep “SOAP notes”.otherwise they will find they only allow certain amounts per code…it’s all an elaborate game where everyone assumes the other is trying to screw them. Nolo press does a great how to fight your injury claim and win boook. I disagree with your recommendations here. Seeking medical treatment to enhance the value of a claim is referred to “building a claim” in the insurance industry. Generally speaking, that’s what a lot of personal injury attorneys want you to do. If you live in a “no-fault” state (simply put, your auto insurance pays for your medical bills – not your health insurance) all the better since they have a readily available source to pay your bills to build up your claim. Get the treatment you need. The fact that there is a bodily injury claim pending shouldn’t be a factor in what treatment you obtain. There is no magic 60-day window for treatment related to the accident. Take the high road. Your claims were small based on the actual injuries. The Allstate rep’s job was to handle your claims. He was required to follow up with you by his company on a frequent basis. If it were up to him he’d have been happy to not contact you for 6 months. Unfortunately, he’s just a cog. The flip side is the person who says there were ignored by the insurance company. When the release was signed and the settlement check paid – the claim was closed. He no doubt had a hundred or more open claims pending to deal with. It is hard to say what an injury claim is worth. You can’t comparison shop on line and everyone’s experiences and expectations are different. What is “unfair” to one person is reasonable compensation to another. Preposterous. Insurance companies cheat victims out of billions of dollars every year. They love the premiums but hate the pay outs. Don’t leave a dime on the table……..the insurance company won’t. And I totally agree – photos are a lifesaver. In my case, I was pushed into the car in front of me. That driver tried to claim I hit him without being pushed; the photos proved otherwise. I was rear ended in April of 2016. Car was totalled. I got the check for the car within a few week. My buddy is sort of an ambulance chaser lawyer and told me he would help me for free, so I figured what the heck. I was a bit brused, but went to a chiropractor to have electro stimulus for my neck. I went 4 times. Got an MRI just in case. Basically ended up with about $2,000. Some injuries take a few days to show up and some might take a week or so. I wasn’t hurt, nothing broken, nothing really harmed, but the whole process to almost a year. GEICO also tried to settle with me for about $500. Lawyer said they always try and lowball that amount. I am fine with using the lawyer, it was my first time being in a serious wreck. On a separate note, I drove a VW Jetta TDI, part of the scandal, because the car was totalled in April, I got $2,500 less for the car even though I owed it as of class action date and the settlement dates. I wasn’t happy. I am assuming if you are on the other side of the fence and would be sued by someone like “NotRetiredYet” an umbrella policy should protect you? Or do you need to do something more to protect yourself and your assets in this litigious society? I have both car insurance and umbrella insurance. You should. The umbrella sits above your homeowners or renters coverage as well auto. My wife has to have an umbrella policy for work for $5M. No, an umbrella policy would not come into play here. The auto insurance would always handle it. “NotRetiredYet” said “….and since we didn’t name the insurance company in the lawsuit, they couldn’t defend her (they sent a rep just to cut a check based on the outcome).” CA does not allow attorneys to represent a party in small claims court. That’s why they couldn’t defend her. But they were there to pay the claim and live up to their obligations. With only a few exceptions (LA and WI come to mind), you sue the alleged wrongdoer (called a tortfeasor). The liability insurance company pays, but they are not a party to the lawsuit even though they call the shots. Your auto insurance and homeowners insurance provide both a defense (hire an attorney on your behalf) and indemnity (pay what you owe) up to your policy limit. Umbrella pays what you owe above that. It is a good idea to have an umbrella policy if you have assets to protect or a well paying job. They are not expensive. Claims against them are fairly rare (that’s why they aren’t expensive – the cost of insurance is largely determined by historical claim payments). You mentioned “CA does not allow attorneys to represent a party in small claims court” and then you also mentioned “Your auto insurance and homeowners insurance provide both a defense (hire an attorney on your behalf) “. These seem a little contradictory so can you clarify the attorney part – Who hires one and can they represent me in the small claims court. I live in CA and was curious. Your company will hire an attorney to represent you – where an attorney is permitted. Small claims court has a limited dollar amount (as the name implies). You won’t get an attorney in CA. Your insurance company would assist you/give advice on a covered claim against you and they would pay any covered small claim judgment against you as well. Claims are fact specific. The law varies from state to state. There can be a lot of moving parts and there is a fair amount of (true) ignorance about such matters. Maybe you should have hired your uncle. He’s not licensed in my state. He does not have to be. It’s call “pro hac vice” which allows a licensed attorney to temporarily practice in another state. Well, then it probably wasn’t worth his time either (just like the other lawyers) since he told us to look for a lawyer in our city (i.e. he did not offer to do it himself). It appears that it might be possible (though not guaranteed) but probably not practical, especially for someone living several hundred miles away (and for a small reward). Just to play the devil’s advocate here, have you thought through the return on your time for your wife and you spending so much worry and mental strain thinking about this? Had you just settled early, how much less would you have been paid? Subtract that from what you actually were paid and divide by the total number of additional hours you spent dealing with this (the sum of the hours of both you and your wife) in an attempt to optimize the payout. Is that figure an amount commensurate with how you are normally compensated for your time? There is a time and a place to use insurance, but I wonder if this one was worth it. What if all those hours had been spend building out this blog which has the potential to earn you a ton of money down the road. Just a thought. Well, in hindsight it’s always easy to make better choices. Not as easy when you’re doing it. Now if our settlement had been $25,000, no one would question the time. But there’s no way of knowing that in advance. And, btw, sorry your wife and son went through that. Accidents and injuries are a major bummer. I should have mentioned that in my original comment. Hello! How are you? I was wondering if I could get your input. I was in a minor car accident two months ago, and was rear-ended on the highway. The insurance company just gave me a settlement offer this week with 1500 going towards my medical bill (paying for it all), 500 to me for my pain and suffering, and approximately 600 to repair the bumper on my car. I contacted the adjuster and told her that I did not accept her offer. She contacted me and wanted to know why my offer should be higher, and with any supporting evidence. One of my family members pointed that I could request a higher offering because of pain and suffering. Maybe overall request 2500 (with 1500 going towards the CP). The driver had rear-ended me and as a result, I had whiplash and suffered from neck and should issues. While I did not miss work because of these injuries, I was not able to fully perform my tasks. The adjuster is awaiting my response and I do not know how to respond to her. Please, do you have any recommendations? Thanks! I’m sorry, but the post above is about all I know on the issue. I’d suggest you consult a lawyer — perhaps even a family friend who is a lawyer — like I did. If you even have to call one of the legal injury companies you see on TV (like I did as well), you can explain what happened and they can tell you if there’s enough there to get you more. The 60 day window is kind of true but it misses the point insurance companies try to limit your settlement on. They believe that if you are “truly” in pain and suffering, you will get police reports and go the see doctor immediately and often. You would be getting physical therapy, MRI’s, injections, and medicine to help you ease the pain. They feel that if you take your time and aren’t actively seeking medical attention, then you aren’t really in pain and suffering. This is obviously not the case, but it’s one of the tricks they play. I was in my 60s before I was involved in a personal injury case where a kid yapping on a cell phone ran a stop sign in Florida and slammed into my car totalling both cars. I immediately filed a claim with his insurance company GEICO and from the very first call the run around s, tricks, lies, stalls and delays began. Unlike what some people say, the insurance companies intentionally force you to waste your time, and even laugh at you and play a game. They would routinely miss direct my calls to various underlings who always attempted to pry into my personal life, refused to schedule an appointment to assess the damage to my car. They refused to inspect the car in a supervised location but demanded to have unsupervised access to the car and even demanded that I surrender the car with no payment for the car and are now trying to force a settlement with 0 payment for the car and an offer of only 6000 for well over $50,000 in damages plus very substantial pain and suffering. The mother is somehow connected to the Catholic Church and none of the over seven lawyers I interviewed will sue her. They seem to be afraid of GEICO. It’s all a state sponsored scam.